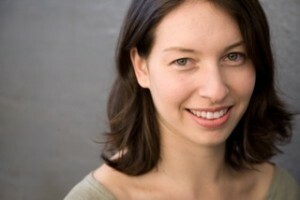 Anna Sobel is a puppeteer, actor, director, and educator from New York City, now based in Western Massachusetts. A professional puppeteer since 1998, Anna makes her own puppets and performs original children’s puppet shows throughout New England with her own puppet company, Talking Hands Theatre. She holds an MA in Educational Theater from New York University and a BA in English from Wesleyan University. Anna studied the use of puppetry for social change on a Fulbright Fellowship in India in 2003. While in India, Anna taught puppetry courses with specific educational objectives at Jan Madhyam, a New Delhi-based organization that offers art and puppetry programs to low income girls with special needs. She has worked as a teaching artist at public schools around the New York area through Shadowbox Theatre and Brooklyn Arts Council. In 2008, Anna was awarded the Laura Adasko Lenzer Fellowship for teaching artist of the year from Bank Street School for Children. Anna is also a certified children’s yoga instructor through Childlight Yoga.